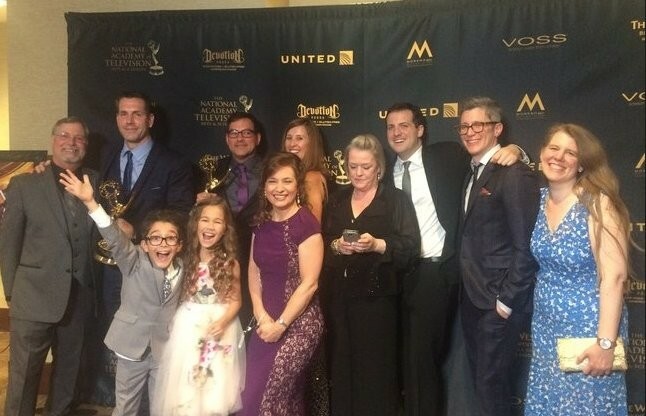 General Hospital took home 9 awards at the 43rd Annual Daytime Emmy Awards! The daytime drama won Outstanding Drama Series, Outstanding Lead Actor (Tyler Christopher (Nikolas Cassadine), Outstanding Supporting Actor Sean Blakemore (Shawn Bulter), Outstanding Younger Actor (Bryan Craig (Morgan Corinthos) to name a few! This year's awards have been very exciting for General Hospital casting Legend Mark Teschner who picked up his 8th Daytime Emmy Award! Check out what the humble and extremely talented Mark Teschner had to say about the exciting experience HERE! Outstanding Casting for a Drama Series: Mark Teschner - WINNER! Outstanding Costume Design: Shawn Reeves - WINNER! Check out last year's GH Emmy 2015 Winners HERE! Catch up on what you may have missed on General Hospital with our WEEKLY RECAPS! Watch a SNEAK PEEK: Who is Following Jason & Sam? Sam meets Jason in the park, where they realize that someone is watching them. General Hospital, which celebrated its golden anniversary on April 1, 2013, continues its tradition of passion, intrigue and adventure that takes place in the fictional town of Port Charles in upstate New York. The glamour and excitement of those who have come to find their destinies in this familiar seaport town intertwine with the lives, loves and fortunes of beloved, well-known faces. As always, love, danger and mind blowing plot twists continue to abound on General Hospital with contemporary storylines and unforgettable characters. Watch full episodes of General Hospital WEEKDAYS on ABC.